Watch How These Two Adorable Pups Play With Each Other Outside! It is undeniable – having close friends are great! This is especially so when you are younger and are in need of companions. Who else will agree to help you out with whatever wacky hijinks you have planned? Or alternatively, maybe you are the one that is supporting your friend’s crazy plans! 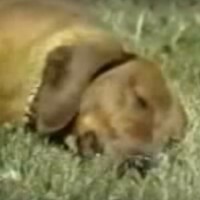 When You See What This Adorable Pup Is Doing By The Fence You’ll Laugh! Pups are social pack animals, and it shows in the way they bond, play, and communicate with other pups and us humans! 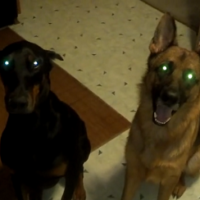 How These Pups Reacted After Getting Caught Chewing Underwear Will Make You Laugh! When you ask your children (the human kind or the four-legged kind) who broke the lamp, chewed the carpet, or stole the remote, they will either admit they were wrong or blame it on someone else! 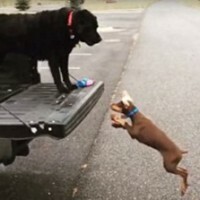 Doberman Puppy Tries To Copy Labrador But It’s An Epic Fail!